Recently drove back to Ipoh for a nephew’s wedding reception. Initially we planned to have dim sum in Fu San which everyone claimed that they are the best. Well, not that I wanted to, but my ‘tau keh’ (aka my husband) yearning for Fu San dim sum. He was honestly disappointed as he didn’t even get a chance to line up nor to find a table. That morning was full of people… and yet we could still people queuing up for vacant tables. I wasn’t really craving for it… a good dim sum is hard to come back, not to mention to find it. I am more craving for such food that am going to share with you. Till now, I can’t find it in Penang, even though they have, it ain’t like what Ipoh has been selling it for decades. 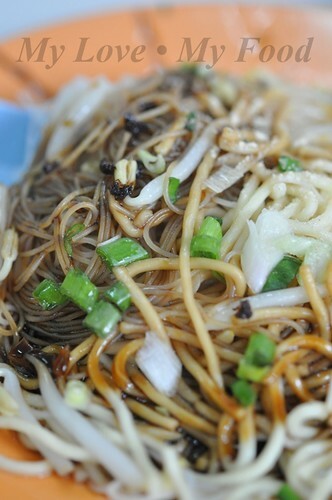 It’s noodles and adds on items, like yong tau foo (酿豆腐), and deep fried bean curd skins. 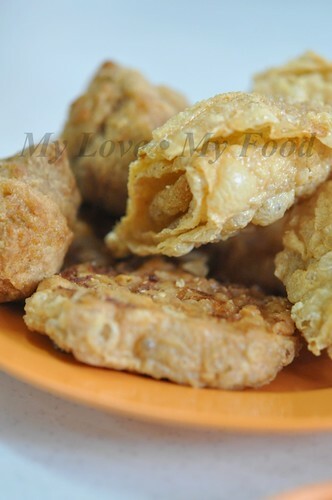 What I see the differences between Ipoh and Penang is, Ipoh has more variety, and even on deep fried items. For example my favourite is this round shape turnip (jicama/yam bean) fried, in Cantonese they called it Char Sar Kot. It’s something that you can’t find in Penang. Apart from this, another favourite of mine and mostly Hakka Yong Tau Fu will have this; in Cantonese they call it ‘Chu Ken Yuen’, its pork muscle balls (豬筋丸). 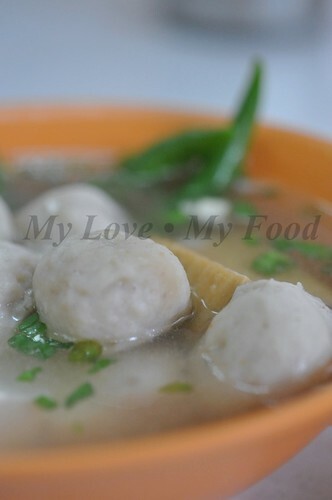 The meat balls (豬肉丸) that Ipoh is having is so much different from Penang, they are more springy and juicy. 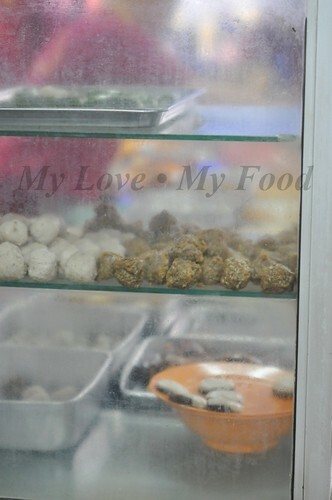 Am sure Penang do not have another type of balls, that’s what Ipohan named it Fei Yuen (非丸). 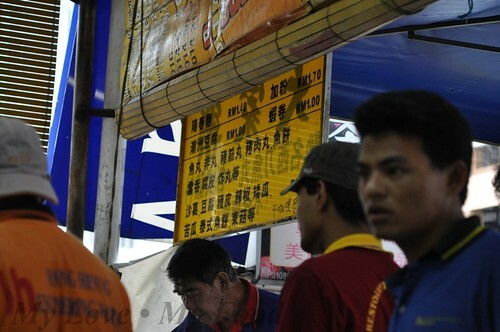 Fish cake, fish ball, Teochew tau fu, prawn rolls, and many other more… price tag is hanging in front of the stall. We also have dry version of noodles and vermicelli added bean sprout. 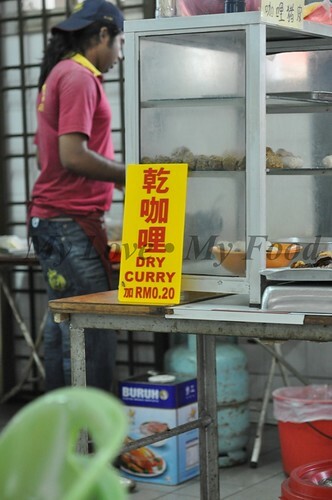 If you prefer dry curry, you can make your choice with only RM0-20. 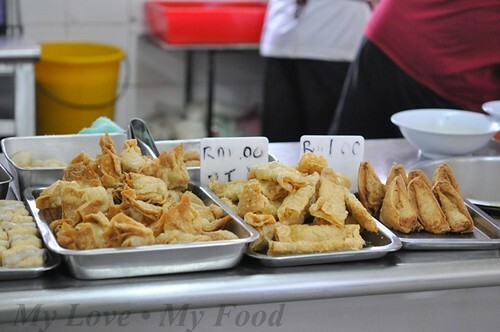 What Penang basically have is Yong Tau Fu, like bean curd, bitter gourd, ladies finger, broccoli, mushroom, but Ipoh have more than this, they have Hakka fried bean curd, all types of deep frying bean curd skin, fried wanton (gigantic size), and many other more. That’s the reason why I will go for such food for breakfast instead of dim sum whenever am in Ipoh. Isn’t that tempting? hey you changed your layout? in Greentown right? no wonder the name rings a bell. 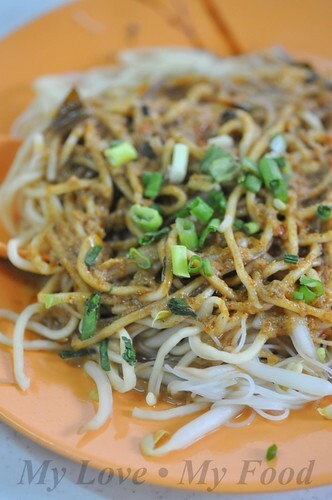 Hey, I went to Ipoh last week, and we tried the Hakka Noodles as our breakfast. Hi J2Kfm, ya, sort of sick of the old layout. And I need a bigger photos for readers too. Near Greentown but not in Greentown, it's some where near Overseas Chinese Restaurant. To be more precise, it's opposite Tai Kar Lok, or OSK building. Hi Little Inbox, which Hakka noodles? Is it Yin Yiu Kooi at Hugh Low Street? 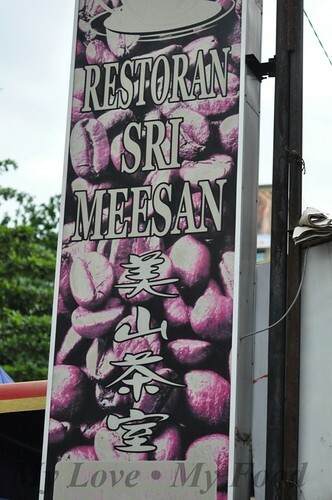 Will sure to try out this place on next Ipoh trip. Makes me feel like going home. The jicama liew looks so good. this place looks good!a great place to be for a change! yeah, besides dim sum, yeong tou fu is always the 2nd choice for food hunting in Ipoh!!! I like Char Sar Kot-the Ipoh ones are so so the one in Gopeng is goo000d. Ya leh, I agree that dim sum at Ipoh will have more varieties compare to Penang one. this is a must try restaurant in ipoh. And suggest u, try the next door called "้辉记".